Samsung is one of the giant electronic companies in the world. It is also well known as Mobile Phone Manufacturer Company. Samsung always brings newly attractive mobile phone models. A new model Samsung chat 350 is coming soon to India. The most attractive features of this phone is slider QWERTY keypad and also having Touchscreen display mainly for chat and messaging purpose. This phone will have great popularity for its nice shaped slider body and cheap in price. Its keypad and touchscreen facility is like Samsung Champ which is now too much popular between young generations. However Samsung chat 350 will conquer every aged people. The new models of Samsung always bring some attractive features. 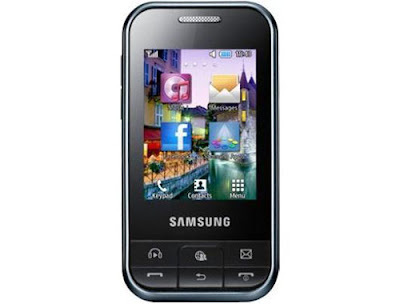 If we focus on Samsung chat 350 Review, we will see this model contains 2.4 inch touch screen display having social networking and dedicated buttons which supports 262k colors where display size is 240 x 320 px. It has 100 x 52 x 16 mm dimension with 99. 8 gram in weight. 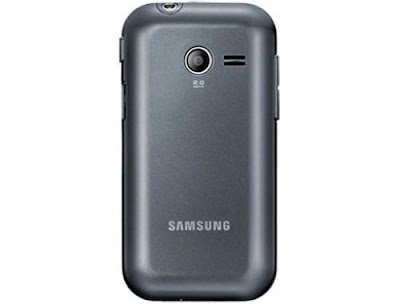 It has Samsung Proprietary Operating System having Operating Frequency GSM 850 / 900 / 1800 / 1900 Mhz. The mobile contains Quad-band GSM Network. The Chat 350 has 2. 0 Mega Pixels Camera having digital zoom with picture resolution 1600 x 1200 Pixels and video resolution QCIF at 15fps. It supports MP4, H.263 video formats. Its browser supports WAP 2.0/xHTML, HTML. It contains games and more games are downloadable. Its java version is MIDP 2. 1. It has the ability to contain 1000 phonebook entries with Photocall advantages. Samsung Chat 350 has Li-ion battery having 1000 mAH so the phone contains the stand by time Up to 666 hours and talk time Up to 12 hours. It contains internal memory of 20MB and also supports external micro SD cards which can be expandable in 8GB. This phone has greater advantage in texting system which contains threaded view of SMS,MMS,push e-mail and built in social networking(Facebook) system. It contains Vibration, MP3, Polyphonic ringtones. Stereo FM radio with recording facility. Its music supports Music Formats :, WMA, MP3, eAAC+, WAV having audio jack of 3. 5 mm. Also contains Speaker and Headset facility like normal phones. It contains nice data communication system. It provides GPRS Class 10 with 32 - 48 kbps data transfer speed. It has Bluetooth version 2. 1 with A2DP. This awesome phone will be available in three colors Black, White and Silver. Despite of these numerous facilities this slider phone is not too much expensive. Its attractive facilities beyond the price. Samsung chat 350 price in India will be Rs.10,000. Google has just released the second instalment of their Nexus smartphone series.